Any member of North Wilkesboro Presbyterian Church can download, print, and/or view the membership directory. Once at this site, you will be instructed to enter your email address (as listed in the Church Directory) and create your own password. You will continue to use your email address as your user name and your chosen password for future access to our Church Directory. If you forget your password, just click on the “Forgot Password?” link and instructions will be sent to you via email.You may also continue to access the NWPC Church Directory using the free smart phone or tablet app “Instant Church Directory” available at the Apple, Amazon and Google stores. 1.) You may download and view the current directory from an iPhone, iPad, Android or Kindle Fire. You must have your email listed with the church directory. If you do not have your email listed or are unsure if your email is listed, please contact Melinda Goforth at 667-1288. 3.) Tap on the app to open it. You will be prompted to enter the email address listed with NWPC directory. 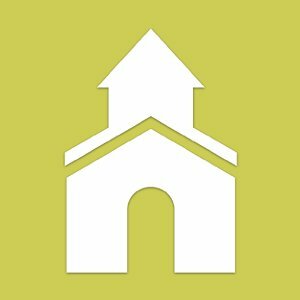 Instant Church Directory will email you a password (at the email address registered with the NWPC directory that you enter into the app prompt) once the app is opened. 4.) Enter password you received from Instant Church Directory via email. 5.) The directory will appear. 6.) After you are finished viewing the app and close it, you should not need to reenter the password again. The next time you open the app, it should automatically display the current directory.